Part of every examination prior to vaccines includes a “Life Risk Assessment”. Our technicians and Doctors evaluate each pet’s risk of contagious disease prior to making vaccine recommendations. Some vaccines should be given to every pet. Other vaccines are only needed by pets that experience higher risk of contagious disease, such as trips to the dog park, groomer’s or boarding kennel. Pets that stay at home or only go on leash walks without a lot of contact with other animals may only need some vaccines every 3 years, according to new recommendations made by the American Animal Hospital Association (AAHA) and the American Veterinary Medical Association (AVMA). 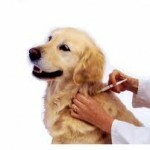 The veterinarian who knows your pet, your family and lifestyle is the best person to make recommendations regarding the vaccines that are best for your pets. If you take your pets to a discount vaccination clinic, you will not get advice about which vaccines are uniquely suited for your pet since all animals are treated the same at most vaccination clinics. They will not recommend 3 year vaccines for pets (that would cut into their profits). They will not recommend specialized vaccines based on your pets lifestyle (like rattlesnake vaccine for hunting dogs or periodontal vaccine for dogs prone to dental disease) because they do not take the time to perform a Life Risk Assessment or a complete physical exam. They may even insist that your pet have non-core vaccines that he/ she doesn’t need because that’s what corporate says they have to do. 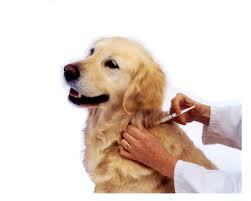 The best place for vaccinations for your pet is still with your family veterinarian. Sure, you may have to pay $ 40- $50 for an exam with the vaccines, but you may not have to pay for vaccines that your pet doesn’t need. Meanwhile, for your investment, your pet will be getting the physical exam, individualized health recommendations, and better health care that are the Really Important things!